SMRT Express Service 971E is a Peak hour Express service between Bukit Panjang and Shenton Way, passing through PIE, Orchard and Bras Basah. No boarding and alighting at Bt Panjang Temp Bus Pk. 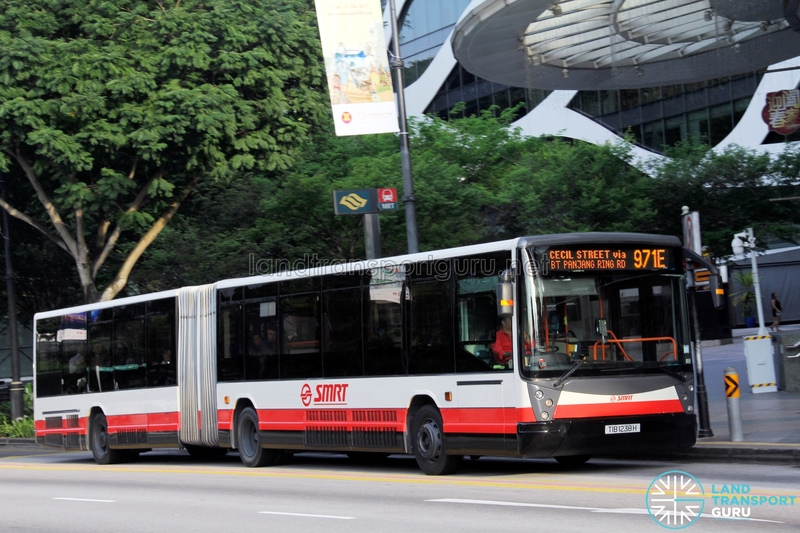 Introduced on 14th March 2011, Service 971E provides passengers in Bukit Panjang with alternative means of transport to the Orchard Road and Shenton Way. 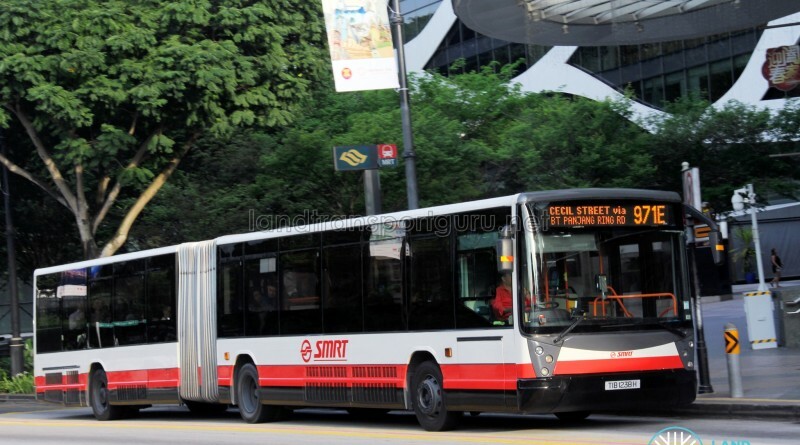 The limited rail connectivity in Bukit Panjang creates a lucrative opportunity for direct bus services to the city, and this service has received many additional buses since its inauguration, from just 2 morning departures to 7 morning and 3 evening departures in April 2013. This service has two major competitors in Bukit Panjang, Premium 555 and Premium 722. Both offer direct services to Shenton Way but charge higher fares (given their Premium designation). Alternatively, Service 700 plies from Bukit Panjang to Shenton Way via Orchard, but the hassle of transferring buses may not appeal to many commuters. The introduction of Service 972 under the BSEP scheme has taken much loading off this route by running parallel to it between Bukit Panjang and Dhoby Ghaut. Despite the slightly higher express fares, many commuters prefer the direct express route to Shenton Way without the hassle of transferring buses. The route still enjoys high demand daily from passengers heading to Shenton Way. As part of the opening of Bukit Panjang ITH, Bus Service 971E starts revenue service from Blk 602, Bt Panjang Ring Rd during morning peak and end its service at Blk 541A CP, Bt Panjang Ring Rd during the evening peak, skipping Jelebu Rd on both directions. Fare: Charges distance-based express fares. See Bus Fares.